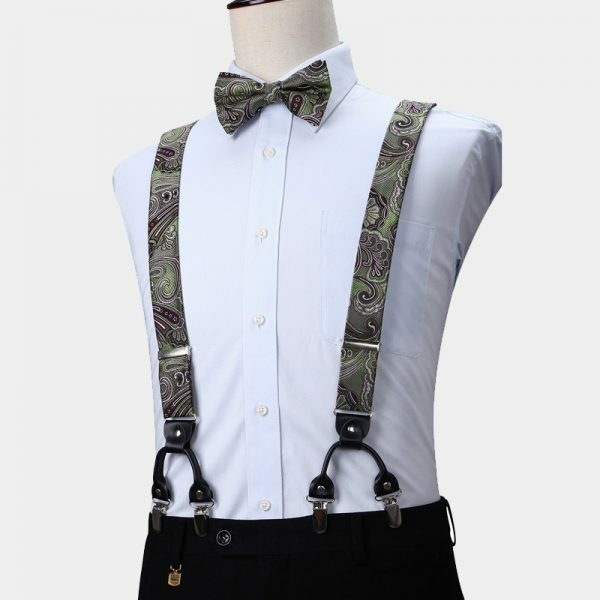 This unique gentleman’s olive green paisley bow tie and suspenders set is masculine and stylish. When you want to make a style statement, this set speaks volumes without you ever saying a word. 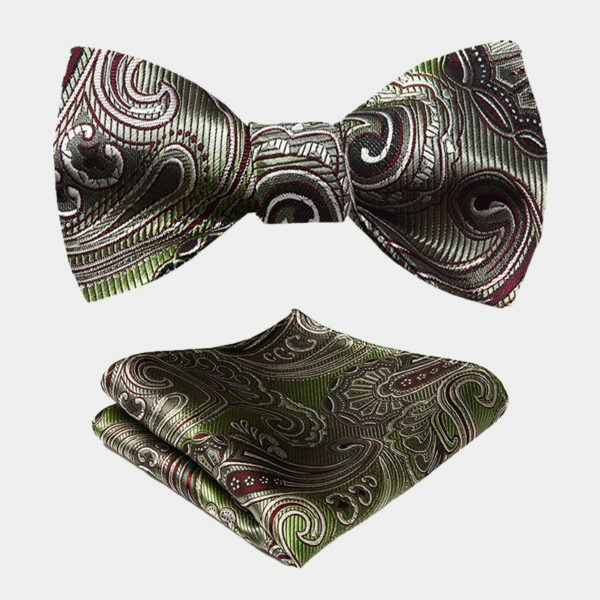 This set is a smart addition to your formal, casual, or business wear looks. 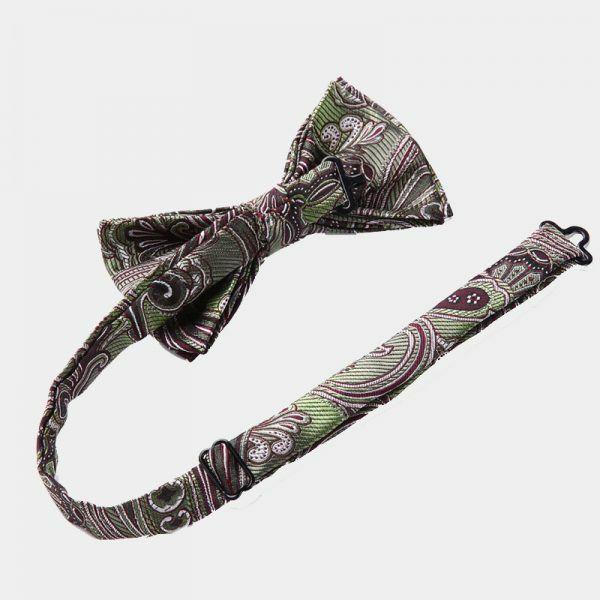 Incorporating this olive green paisley bow tie and suspenders set with your everyday office suits, special occasion looks, or even more relaxed attire is a breeze. Modern gentlemen want to stretch the wardrobe budget as far as they can as well as look their best. These handsome and versatile accessories can be used individually or as a set. 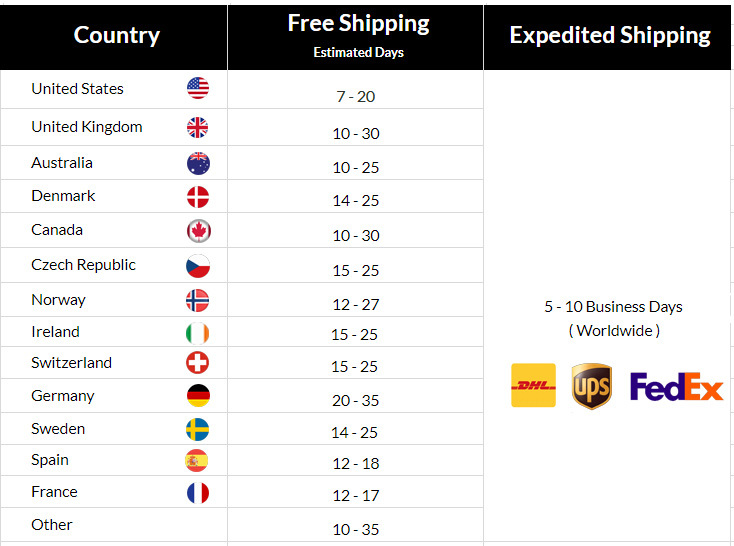 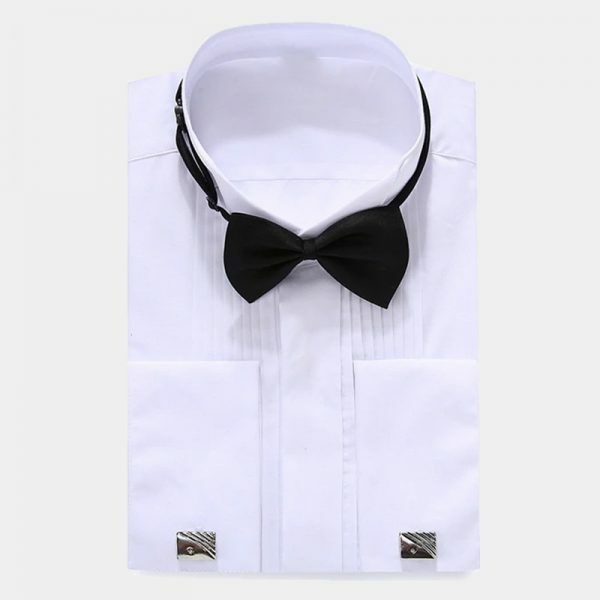 They pull double-duty which makes them a great value for the money. 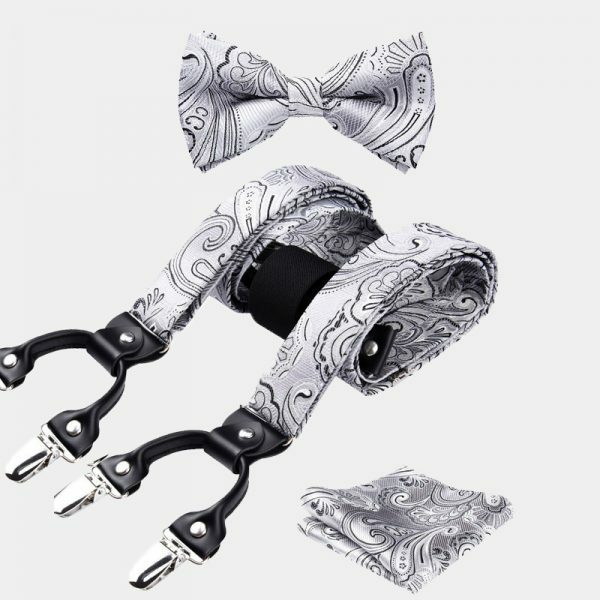 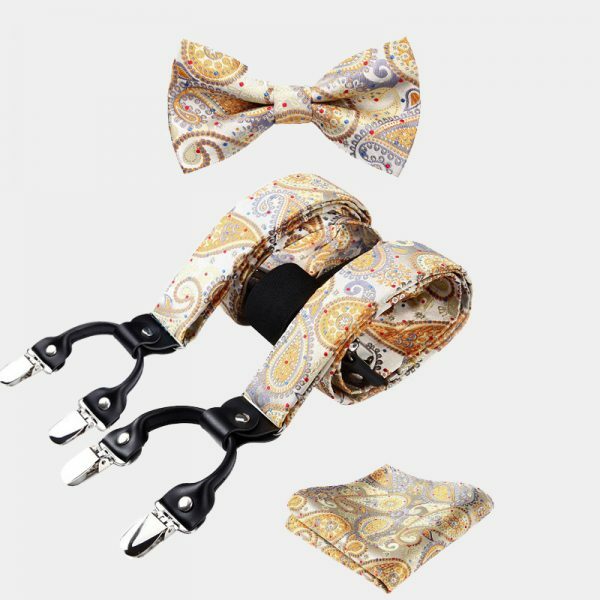 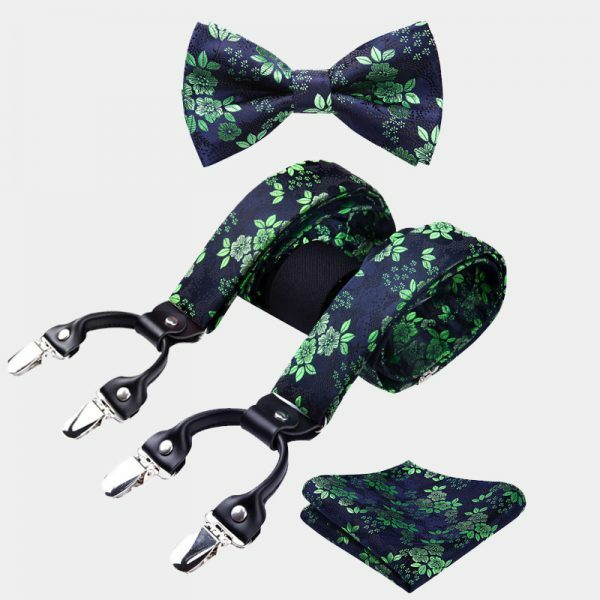 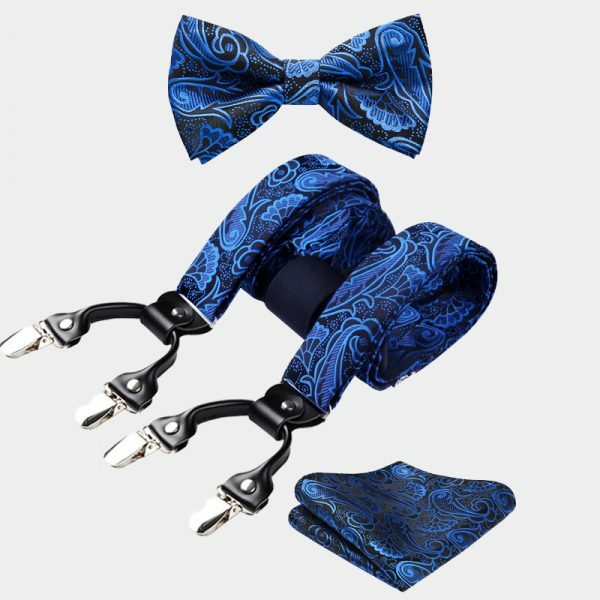 These exceptional sets come with a matching self-tie bow tie, suspenders, and pocket square. Our paisley bow tie and suspenders sets are finely crafted by hand using high-quality materials. 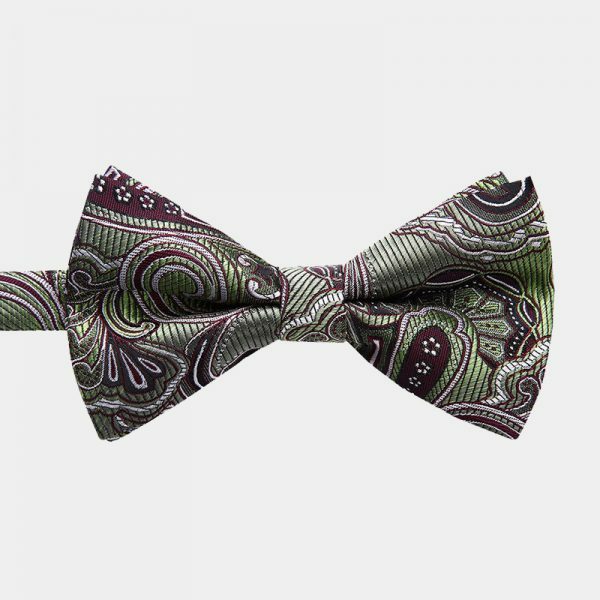 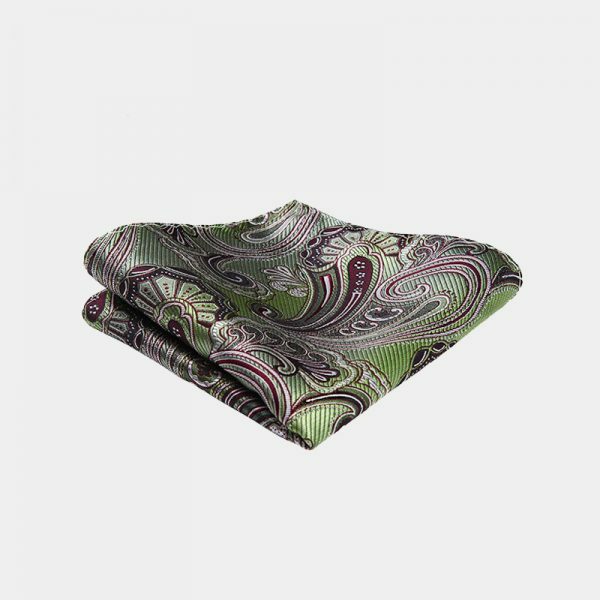 The classic paisley print and the subtle color combination compliments almost any look.